Ranchi, Jan 31: Chief Election Commissioner Sunil Arora on Wednesday requested political parties to refrain from spreading rumour over the functioning of Electronic Voting Machines. Speaking to the media, Arora who was on a two-day state visit reiterated that Electronic Voting Machines are absolutely tamper-proof and reports on alleged manipulation are untrue and misleading. “with the use of Voter-verified paper audit trail (VVPAT) machines chances of tampering does not arise” Arora added. The top officer opined that mal-functioning of EVMs due to technical issues could happen anywhere but tampering is not possible, he observed. 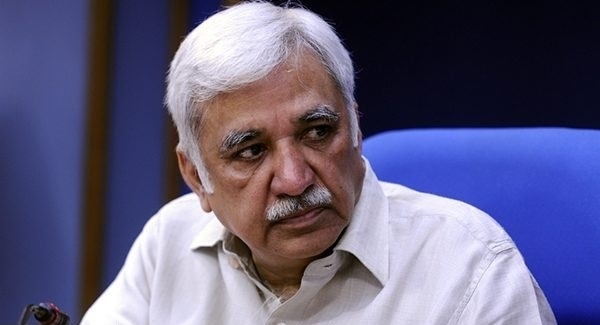 A 14-Member team of EC under the chairmanship of CEO Sunil Arora held series of interactions with the state officials, political parties and other stakeholders for the upcoming Lok Sabha polls. He asked all political parties to ensure the appointment of Booth Level Agents for hassle-free poll arguments.